European carmakers are joining forces to create a high speed charging network for electric vehicles. The scheme, which has been jointly developed by BMW, Ford, Mercedes-Benz, Porsche and Volkswagen, will roll-out a fast charging network across Europe, with the first stations going live in Germany in late 2017. The network will use the Combined Charging System (CCS) and offer a charging power of up to 350kW, which should significantly reduce the time it takes to charge an electric car compared to existing systems. A BMW i3, for example, could be charged in less than five minutes, compared to the current 40 minutes at today's 50kW charging stations. 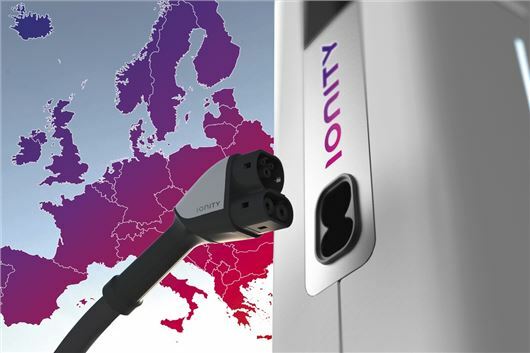 ﻿The project - named IONITY - is expected to add hundreds of high-power charging stations across Europe and the UK by 2020. The scheme will start in Germany before the end of 2017, with high speed chargers placed 75 miles apart on major routes.